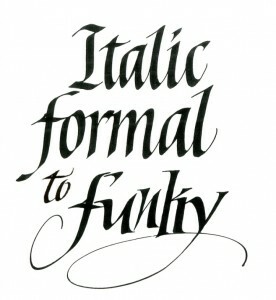 Mark your calendars for an unsurpassed opportunity to study with lettering artist, Denis Brown. From April 15 to April 19, 2016, Mr. Brown will conduct two workshops in New Orleans. 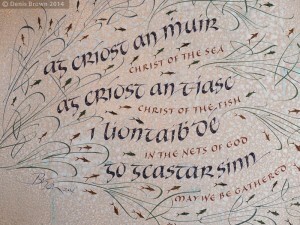 Half Uncial will be featured April 15 & 16. This is an introduction to the Celtic hand that is seen in Irish manuscripts such as the Book of Kells. 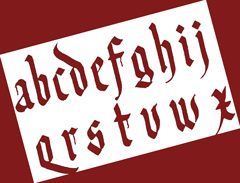 On April 17 we will begin the topic of Gothic Scripts. The workshop will continue on the following two evenings, April 18 & 19. Cost per workshop is $200 for NOLAA members and $225 for non-members. If you are taking both workshops the cost is $350 for NOLAA members and $375 for non-members. NOLAA is extremely excited to host Denis Brown and hopes that you will be able to join us. To use PayPal click on the PayPal button in the main menu. 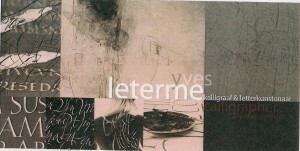 New Orleans Lettering Arts Association has the pleasure of hosting renowned Belgian calligrapher and lettering artist, Yves Leterme. Yves will begin his 2015 North American tour with two 2-day workshops in New Orleans. A non-refundable deposit of $50.00 per workshop is required to confirm your attendance. See registration form for further details. The workshop location is 1445 MacArthur Ave., Harvey, LA. Kathy Milici will be joining us on April 5th & 6th for any exciting weekend of flourishing and there’s still room for YOU. Thanks to Cathie Farrish’s terrific demonstration of copperplate at the February meeting, we should all be ready to flourish. Registration is valid only with deposit or payment.